1. He stays honest with his opinions regarding Shah Rukh Khan. He doesn't try to hide them. Since 2010, the change in his feelings towards Srk is evident where back in 2010 he used the phrase "BHAAG ARJUN BHAAG" in order to warn Srk. After that he showed maturity in accepting the current scenario & saying he respects Shah Rukh but they're good in their own space. Now in 2014, he speaks about the 2nd hug & admits that the animosity is not there yet they're good in each other's own space, no need of any friendship. 2. He honestly clarifies about Ranbir Kapoor. Someone in the audience shouts "Sir chorna mat" & Salman replies "Kisko?". Another example of how fans take everything related to Salman as personal & how Salman tries honestly to not let it go beyond the limits. 3. He finally gives the confirmation about Telugu Superhit movie Happy Days Hindi remake where he might produce or co-produce it but will be launching 6 new faces. 4. Superb comment, no one can replace the Khans & the Khans can be replaced by Khans themselves. 5. His reaction to the question whether he will work in Dhoom 4. Well it was part of my discussion with many corporate people during lunch where we wanted all the Dhoom franchise thieves/villains to get back for the final showdown. Good that such discussions reach back the film personalities too. 6. And Viveik Oberoi's issue is done. The hug was out of courtesy/good gesture beyond that he's a personality who Salman can't stand. 7. And ofcourse Elli will be backed by Salman Khan & the camp, she'll be launched in a bigger way. 8. And loved it when he said "I'll leave the film industry if a day comes where I will have to take any political party's help to promote my film." 9. 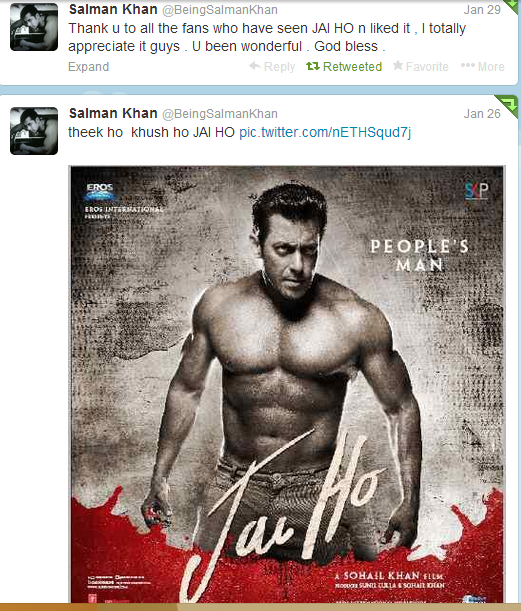 And last but least, Salman Khan says "I BELONG TO BEING HUMAN PARTY & I AM JUST BEING HUMAN". This one is equally best. Salman's reply when asked about marriage & why he used to admit to his dad Salim Khan that he wanted to get married when he was drunk? 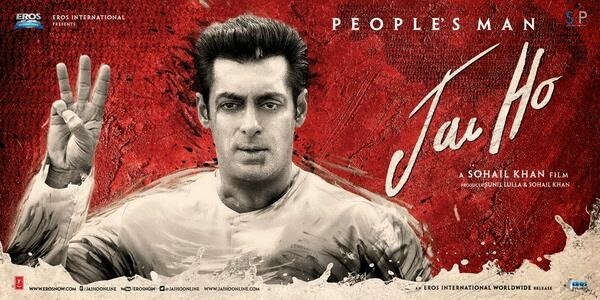 Salman said... Saare cases ke verdict 1-2 saal mein aa jayega, if the verdict is in my fovour then theek hai, if verdict comes against me aur main jail chala gaya toh mere biwi bachchon ka kya hoga bahar yaar? Kya Aap log sambhaloge unko? Bachche toh theek hai par mere biwi ko sambhalne ke liye kisiko nahi doonga.